Dead & Company will return to Riviera Maya, in Mexico’s Yucatan Penisula, at the beginning of 2019, for the second annual Playing In The Sand destination event. CID Presents and Dead & Company’s all-inclusive Caribbean concert vacation will take place January 17 – 20, 2019. After Dead & Company close their summer tour at the Lockn’ Festival, three members of the band are slated to perform at the Centennial Celebration Gala, a benefit for the Save the Redwoods League. After posting an intriguing picture inspired by the state flag of California with a wolf on the flag on his social media yesterday, Bob Weir has officially announced a new project, Wolf Bros, featuring bassist and producer Don Was and drummer Jay Lane (formerly of Bob Weir’s RatDog, Furthur and Primus), with whom Weir will tour this fall. On Saturday night, July 7, Dead & Company finished their West Coast Summer Tour and played to 30,000 fans at Los Angeles’ Dodger Stadium. Less than 24 hours later, they played to 200 wealthy philanthropic fans at a benefit Sunday night in a backyard in the Hollywood Hills for Oceana, an environmental organization dedicated to preserving the world’s oceans. Dead & Company: Mickey Hart, Bill Kreutzmann, John Mayer, Bob Weir with Oteil Burbridge and Jeff Chimenti General parking is included in the final purchase price. One More Saturday Night! 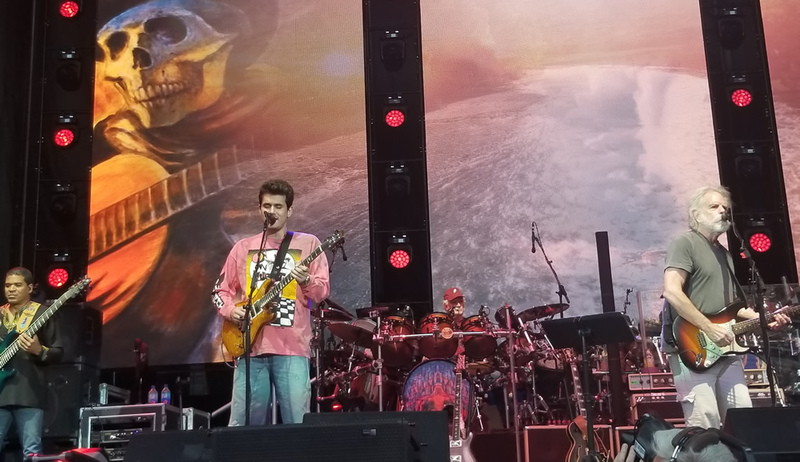 On Saturday night, Dead & Company returned to The New York’ Mets baseball stadium in Queens, Citi Field for their second night and the third year in a row. 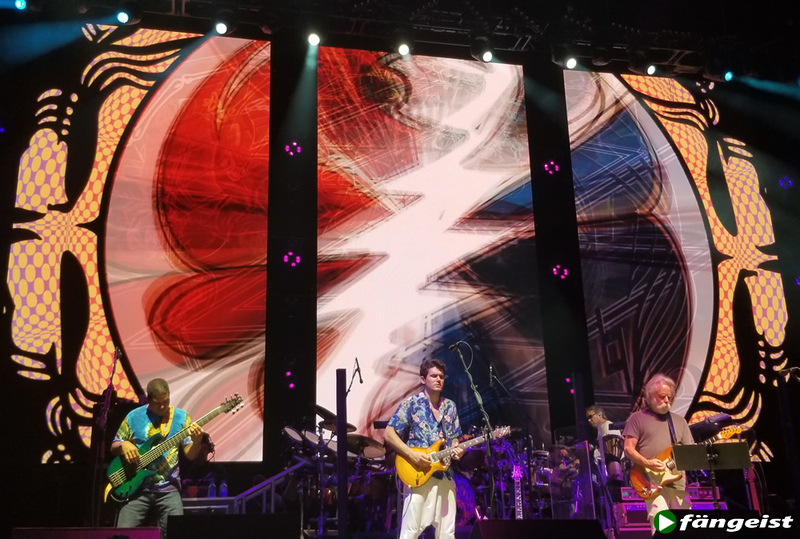 Grateful Dead members, rhythm guitarist/vocalist Bob Weir and drummers Mickey Hart and Bill Kreutzmann, with bassist Oteil Burbridge, keyboardist Jeff Chimenti and lead guitarist/vocalist John Mayer treated fans gathered at the home of the Mets to another tour debut and much more in NYC. 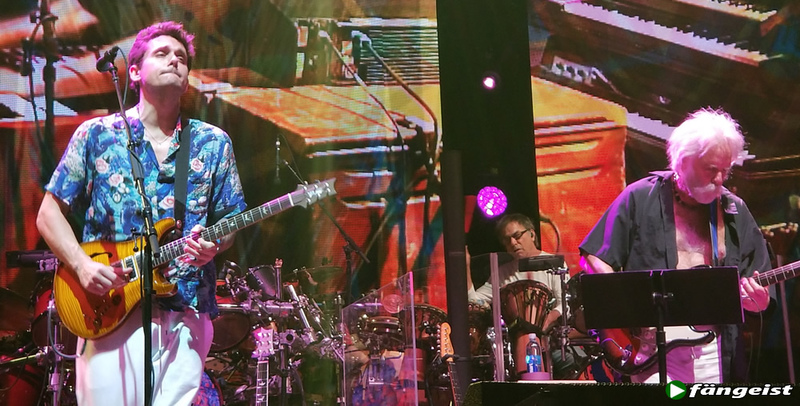 On Friday night, Dead & Company brought their summer tour to Flushing Meadows, Queens to kick off a two-night stand at Citi Field (baseball stadium and home to the NY Mets Stadium). After exclusively playing amphitheaters through the first stellar nine dates of their tour, the six-piece ensemble played their first stadium show of the tour, returning to the home of the New York Mets for the third year in a row. The super group continued to carry on the legacy of the Grateful Dead’s music and songbook with six musicians who make up this all-star group: Bob Weir, Billy Kreutzmann, Mickey Hart, John Mayer, Oteil Burbridge, and Jeff Chimenti. No doubt, this weekend was a family affair in so many ways. 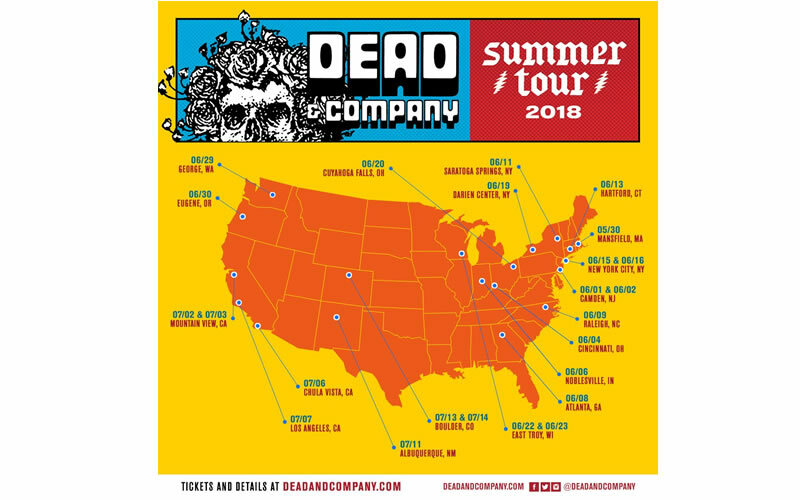 I was lucky to get backstage passes both nights, so I got a bird’s eye view of the fact that every single one of the immediate family of each of the band members were present and provided a support system while the band kicked out two of the best shows they have played back to back in no doubt their largest stadium tour in Dead & Company history.